The awesome way this beauty brand is helping out. 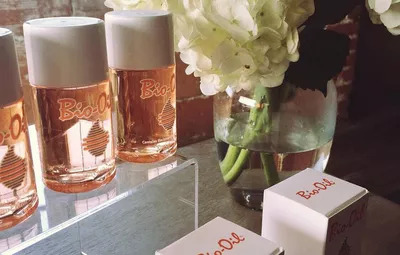 If you've ever set out to reduce the appearance of a scar or those pesky stretch marks, there's a solid chance you've added Bio-Oil to your daily beauty routine (they are number one in that treatment category, after all). But the folks behind the product want to do more than boost the physical appearance of their consumers, they want to nourish the inside as well. As this week marks Fire Prevention Week, Bio-Oil released their documentary featuring four incredible burn survivors who each share their personal, heartbreaking and inspiring stories. For every view the documentary receives, one dollar will go to The Phoenix Society, a national nonprofit supporting burn survivors. It takes a lot of guts to share such a traumatic part of your history, and all of the participants should be lauded for their bravery. Don't be surprised if you find yourself particularly moved by Duane S. Wright, a burn survivor who actually met his wife while they were volunteering at a children's hospital working with pediatric burn victims. Healing and compassion? Now that's beautiful.